Tarrus Riley is among the leading ambassadors of modern day Reggae Music in Jamaica. 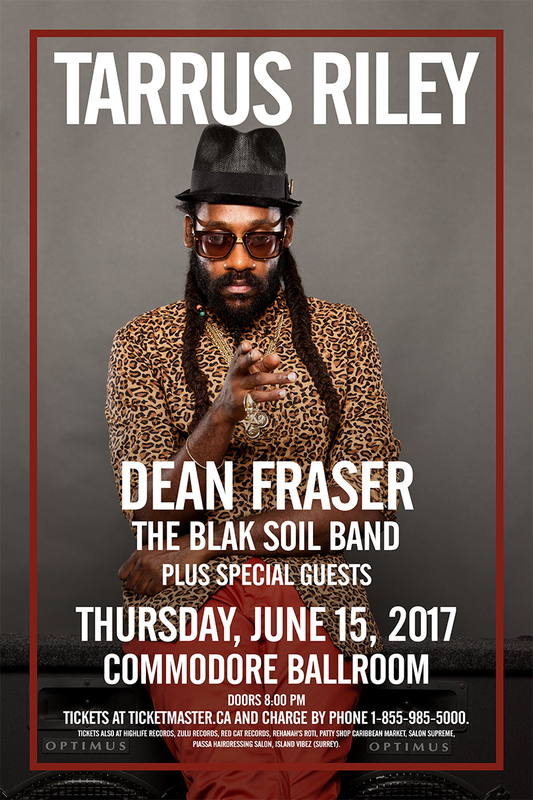 The singer’s commanding vocals, intuitive lyrics and vibrant personality have combined to create a formidable artiste with authentic credentials in Reggae music. Being the son of veteran reggae singer Jimmy Riley his venture into music was predictable. However, Tarrus Riley set himself apart from the legacy of his father and has created his own brand, style and signature, which have fuelled his career to its current height. 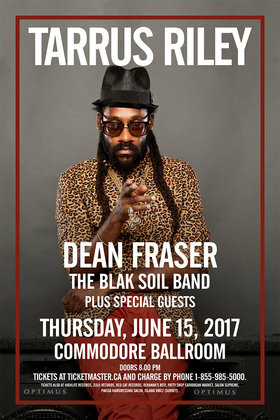 He worked with saxophonist and producer Dean Fraser on his 2014 album Love Situation, which he described as "a true tribute to the rocksteady era", and features guest appearances from U-Roy, Big Youth, Konshens and Mr. Cheeks. The album earned him his first number one position on the Billboard Reggae Album chart. Tarrus Riley has consistently gained awards for his work, from the earliest stages to the present day. Among his accolades are Best Singer, Male Vocalist, Cultural Artiste, Song of the Year, and Best Song in Jamaica. In 2014, Tarrus was inducted in the Caribbean Hall of Fame for his outstanding contribution in music and won the category of Rocksteady/Ska/Early Reggae in the French Reggae Awards. Tarrus has made great hits with some of pop culture’s finest, thereby continuing the Jamaican tradition of breaking the mold on the international scene. His latest collaborations include Powerful with Elli Goulding, produced by Major, Crazy Love with Rock City and Lay It All On Me with Ed Sheehan.